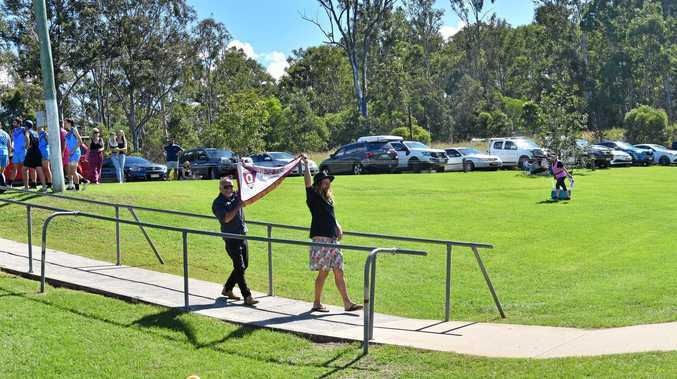 Aussie Rules: After a specular season in 2018 the Gympie Cats unveiled the 2018 Wide Bay Premiership Flag to their supporters on Saturday. 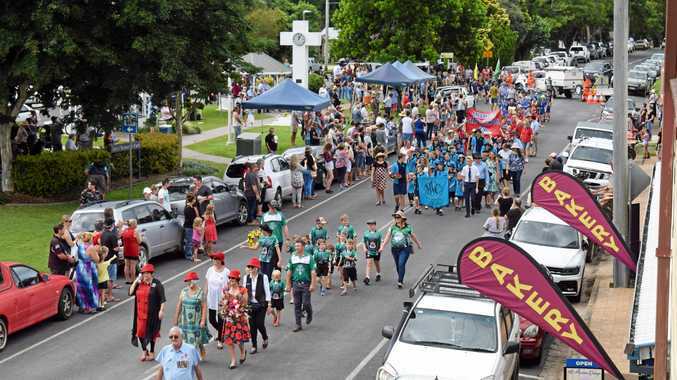 Gympie Cats unveil flag: The Gympie Cats proudly showed off the 2018 Wide Bay Premiership Flag to their supporters on Saturday at the Cats first home of the season against Wynnum. 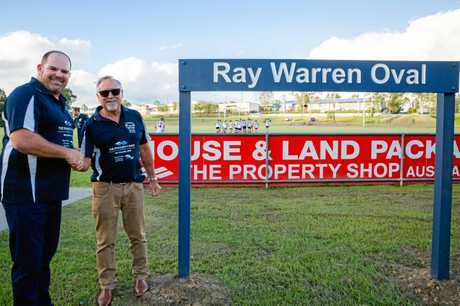 In front of a good crowd at Ray Warren Oval, life member and club legend Ray Warren said last season was the best he had seen the Cats play in a long time. 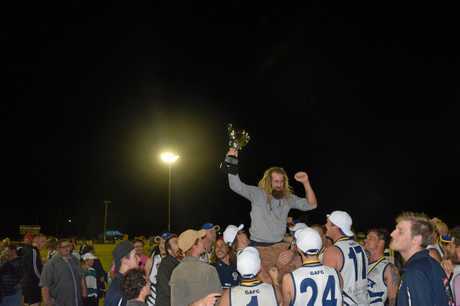 "Last season was an absolute ripper and I think it is the best year I have had a Gympie,” he said. "Not only for the naming of the ground, the boys turning up and just playing excellent football. Currently suspended Cats midfield and leadership group member Lanze Magin played an integral part for the side last year despite not playing in the grand final. Magin still felt as though he was apart of the 2018 premiership winning side. "It was a special feeling, obviously not many clubs do win premierships and from a merged club (with Pomona) in the competion and winning it, it is a good feeling,” he said. Magin will be back on the field with the side in two weeks time.